The Standard PF-P330 Paper Folder combines the simplicity of push-button set up with reliable mark-free suction feed in a table-top unit. 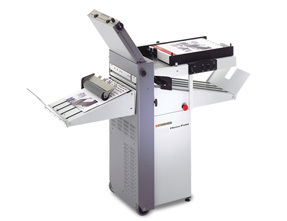 It's ease of use and quiet operation make it a must for any office or print environment that is folding a variety of stocks that are printed both by traditional offset and digital printers. The patented suction-feed system adds to its strength as a work horse that is simple to operate even with lightweight and statically charged sheets. 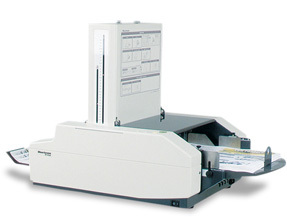 The PF-P330 is the logical choice for paper folding a wide variety of stocks quickly, easily and reliably. The Standard DocuFold features the easiest set-up of any suction feed folder available. All 6 preset fold patterns are calibrated automatically, as the length guide is set into position. Crisp sharp folds are made automatically for any length sheet up to 17" long. 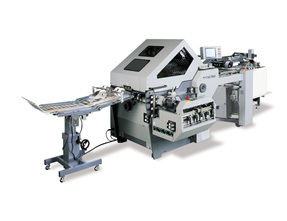 Perforating and scoring is accomplished by removing the lower fold guide and inserting the perforating/scoring unit that comes as standard equipment. 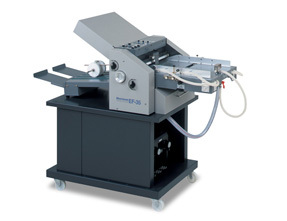 The Standard Horizon EF-35 provides a clear choice for tabletop suction feed folding needs. Capable of folding 30,000 sheets per hour, the EF-35 delivers both command and control to the operator for every folding job. Complete with combination rubber and steel folding rollers and self-compensating gapping, the EF-35 is as easy to set up as it is to operate. The steel folding rollers encompass horizontal machining found on paper folders that can cost 4-5 times more, the grooving on the rollers provides positive sheet grip while minimizing scratching and scuffing on today's advanced digital stocks. This unique folder, serves the traditional print markets as well, with its great range of stock capabilities and productive throughput. 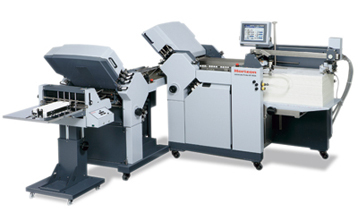 The Standard Horizon AFC-566FKT Automated Floor Model Folder includes advanced set-up automation through a user-friendly 10.4” color touch-screen control panel that displays all common fold formats and sheet sizes for easy selection. 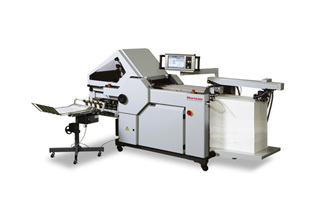 The AFC-566FKT brings folder automation to new heights with fully automated setup, including gap settings. 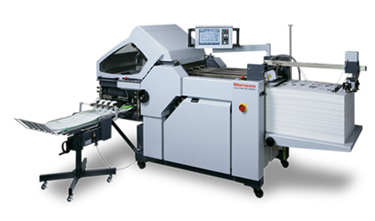 This folder has been designed to serve the graphic arts and digital print markets, with ultra-quick changeovers and the ability to handle sensitive digitally-imaged sheets without marking, enabled by specially-formulated combination roller and scoring systems. The AFC-566FKT is equipped with 6 fold plates, which allow a wide variety of fold patterns in a minimum amount of floor space, at speeds up to 42,000 sheets per hour.